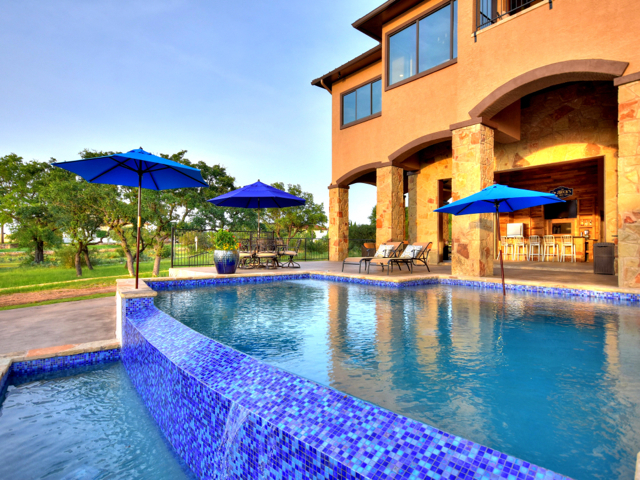 JW Properties offers vacation rental homes on Lake Travis and Lake Austin as well as luxury homes in Austin. Below you will find a brief description of each home as well as a link to more information and photos. Our homes provide the ultimate relaxing getaways. Fabulous waterfront properties with luxurious accommodations or executive Austin estates beckon you to relax and unwind as you enjoy your unforgettable vacation! Come escape the hustle and bustle of the city and surround yourself with the beauty, privacy and tranquility that these homes have to offer. Each home is fully equipped with all you need except your personal items. If you love boating, fishing, swimming or just watching a magnificent sunset, one of our home is your perfect getaway. Whether you are planning a private family vacation, family reunion, a corporate meeting or a romantic escape for two, you can find a rental to meet your needs. Accommodations: Four bedrooms, 4 1/2 baths with 4600 sq. ft. Sleeps 8. 4 Beds. 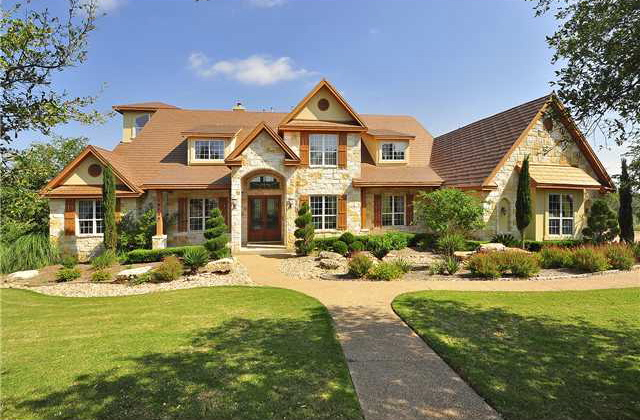 Description: Exquisite home in a private gated community with beautiful pool/spa and expansive views of Lake Austin. For more information and photos for this home, visit Esmeralda Villa. Accommodations: 5 Bedrooms, 5 baths, Sleeps 16. 6597 sq ft. Description: Spacious and elegant home with great outdoor spaces and gorgeous pool and spa. Fabulous views from most rooms! Accommodations: 4 Bedrooms, 3 baths, Sleeps 9-11. 2500 sq. ft on 2 acres. Description: Completely remodeled home with beautiful outdoor spaces and gorgeous pool. For more information and photos visit Lago Vida. Accommodations: 5 Bedrooms, 4 Baths. Sleeps 16. 11 Beds. Approximately 3000 square feet with 2000+ sq ft outdoor entertaining areas. Gorgeous brand new Texas Tuscan style house with million dollar views!! Infinity Edge pool, Brand new boat dock, several huge outdoor entertainment spaces, two grills, fire pit, and sports bar! For more information and photos visit Villa Tramonto. Accommodations: 5 Bedrooms, 5 Baths. Sleeps 16. 6 Beds. Approximately 6850 square feet. 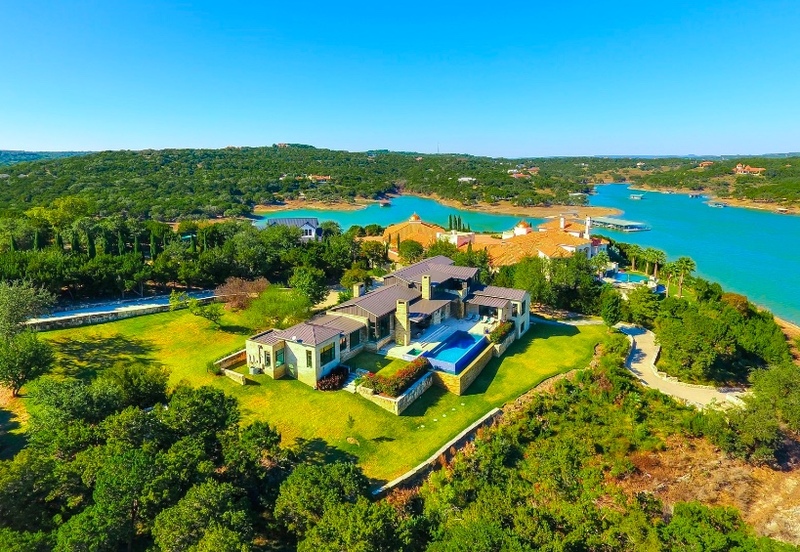 Description: This home is an incredible vacation home with helipad, saline swimming pool, spa, cabana with bathroom and indoor & outdoor shower, outdoor kitchen, covered lanai, the best game room ever, wet bar, use of a day dock for your boat and easy Lake Travis access. Accommodations: 4 Bedrooms/3 Baths. 11 Beds. Sleeps 16. Description: Best area of the lake for water skiing! Swim, fish & water ski right off our boat dock. Deep, Deep water...our boat dock will ALWAYS be accessible & in the water regardless of the lake level! To View the Complete Information and Photos for this property, visit VILLA SOLEIL. Accommodations: Three homes sleep 26-30. 22 Beds. Approximately 5400 square feet. 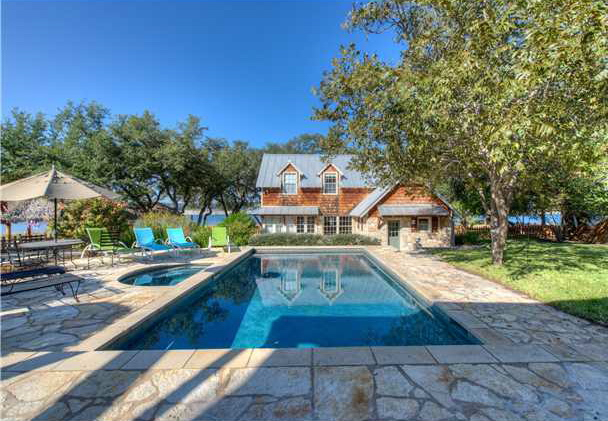 Description: ACME Ranch is a stunning property with a luxurious main home, a small cabin and a bunkhouse that sits on 74 acres with Lake Travis waterfront access. Great for people who love the outdoors!! It has a swimming pool, spa, putting green, basketball hoop and more!! You can even bring your horses! The main home sleeps 12, the cabin sleeps 4-6, and the bunkhouse sleeps 10-12. SO MANY THINGS TO DO--POOL, SPA, PUTTING GREEN, HORSESHOES, WASHERS, CHESS, HIKING, FENCED YARD FOR HORSES AND OF COURSE, THE LAKE!! To View the Complete Information and Photos for this property, visit Acme Ranch. Location: On Lake Travis about 30 miles from downtown Austin. Accommodations: Maximum Occupancy: 8 Approximately 1800 square feet. Click here to go to an interactive property map of these properties. 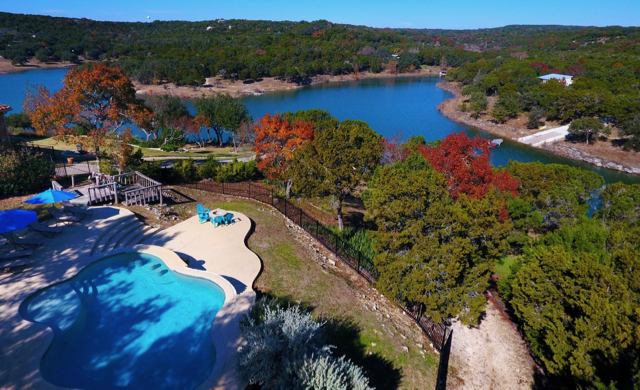 Have your ever wanted to own property on Lake Travis? JW Properties can help turn your dream into reality. From the very beginning of helping you find and purchase the perfect home to managing your property after the sale, we will guide you through each step of the process. 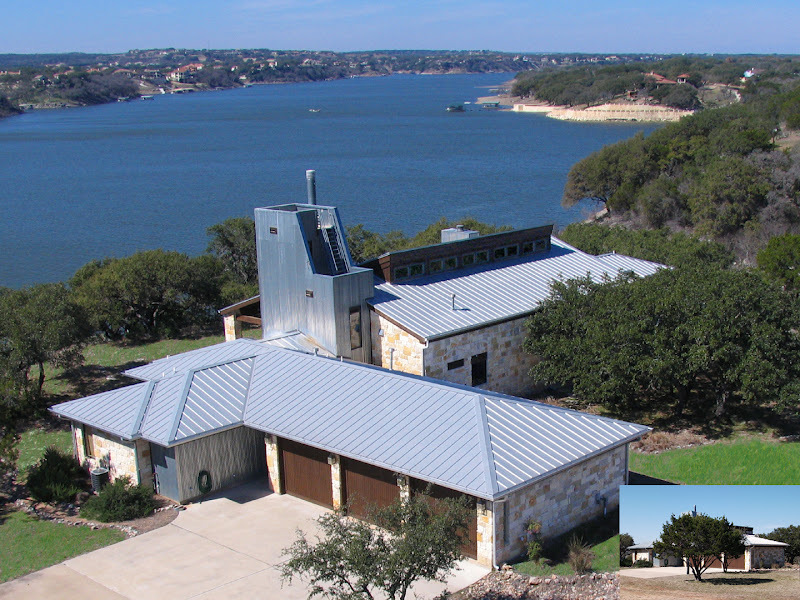 Waterfront property on Lake Travis is OUR specialty in both sales and vacation home rentals. Do you have a question about renting Lago Vista 1, buying a home or selling yours, or would like more information on Vacation Home Management? Please feel free to e-mail or call using any of the information below. You will get a response as quickly as possible.